It shows 4 pans in the picture but the description tells about three. How many pans are actually in the set? BEST ANSWER: Thank you for your question. 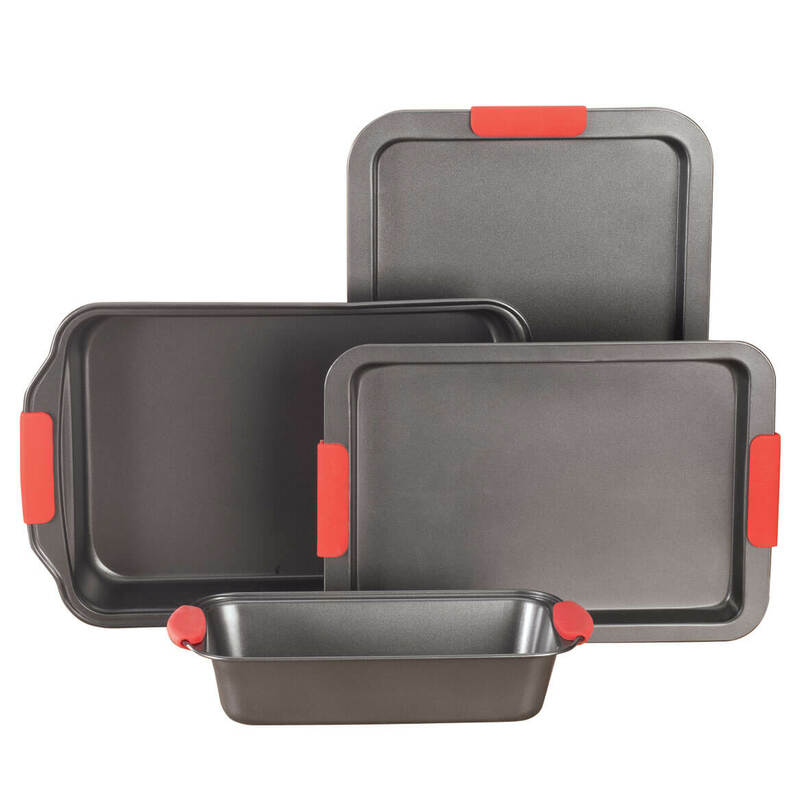 There are 4 pans in the set, heavy duty 9x13 pan, loaf pan, large baking sheet and a standard size baking sheet. We hope this information will be of help to you. When I purchased the set, it had four pans......two cookie sheets, one loaf pan and one cake pan. Very nice set. Purchased them for my granddaughter who was getting married.